When the Tuesday showdown on Capitol Hill was over, Apple CEO Tim Cook and an often critical Senate panel found common ground on the need for, if not the approach to reforming tax law for corporations. Cook addressed a report by the Senate Subcommitte on Investigations that found Apple paid no U.S. or state taxes, and only minimal foreign taxes, on billions of dollars in profits on revenues collected and held overseas in the past four years. Sen. John McCain (R-AZ) described the findings as "egregious and outrageous." 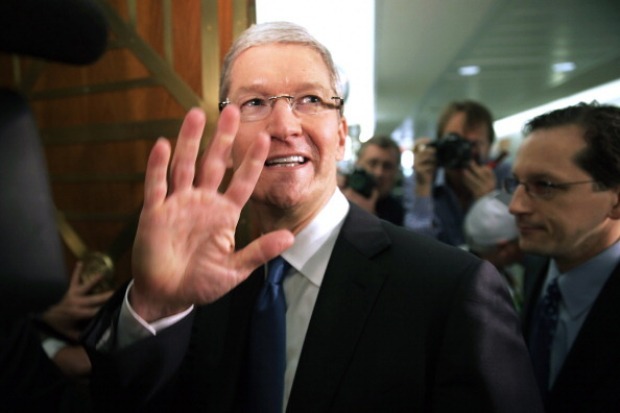 But no one contradicted Cook when he told the panel Apple acted within the law. 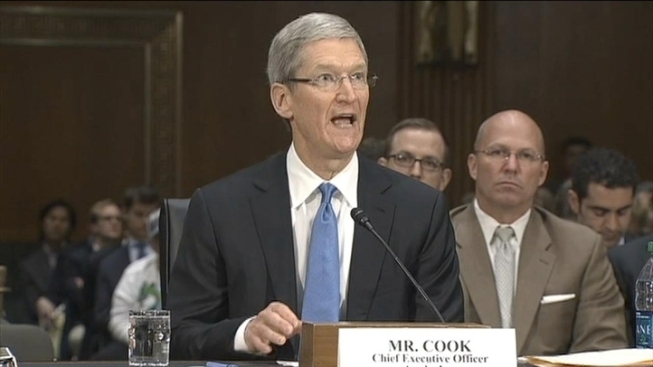 "We pay all the taxes we owe--every single dollar," Cook told the subcommitte. That amounted to $6 billion in 2012, Cook said. Since 1980, Apple has based its overseas operations in Ireland. Apple has availed itself of "deferral," the principle which allows companies to defer paying domestic taxes on profits from revenues collected overseas so long as those profits continue to by foreign subsidiaries. "The real question is whether it ought to be legal," said Matthew Gardner, executive director of the nonprofit Institution on Taxation and Economic Fairness in Washington, DC. "I think it's important for people to understand that the beneficiairies of this tax policy are not small 'mom and pops,' but highly profitable multinational corporations," Gardner said. If the purpose of the hearing was to pressure Apple to bring home some of the $102 billion it holds overseas so it can be taxed, Cook did not volunteer, and instead told the subcommittee that the 35 percent coporate tax rate needs to be reduced. Others saw a different purpose behind the hearings. "This was not Apple on trial so much as a case study in what's wrong with the current system," said Edward Kleinbard, professor at the USC Gould School of Law, and former chief of staff on the Congressional Joint Committee on Taxation. Kleinbard coined the term "stateless income" to describe corporate profits that fall through cracks in the tax code and are not subject to taxation anywhere. Such a situation creates artificial influences on business decisions, and disproportionately increases the tax burden for companies that do business only domestically, Kleinbard said. Cook pointed out that in many cases, the current tax code discourages corporations from bringing home overseas profits, known as "repatriation." Apple holds 70 percent of its cash overseas, according to Cook. The total is put at more than $100 billion. If it were to be repatriated, Apple would owe approximately $35 billion in tax..
"Under the current corporate tax system, it would be very expensive to bring that cash back to the United States," Cook said, calling for a "reasonable tax on foreign earnings that facilitates the free flow of capital back to the United States." Lawmakers on both sides of the aisle have called for reducing the tax rate on foreign earnings. It's expected that at some point the Senate Finance Committee will tackle the issues raised during the Investigations Subcommittee hearing. Kleinbard, for one, is hoping reform will mean the end of "stateless income." "This is really ultimately about what is the shape of future legislation," Kleinbard said.